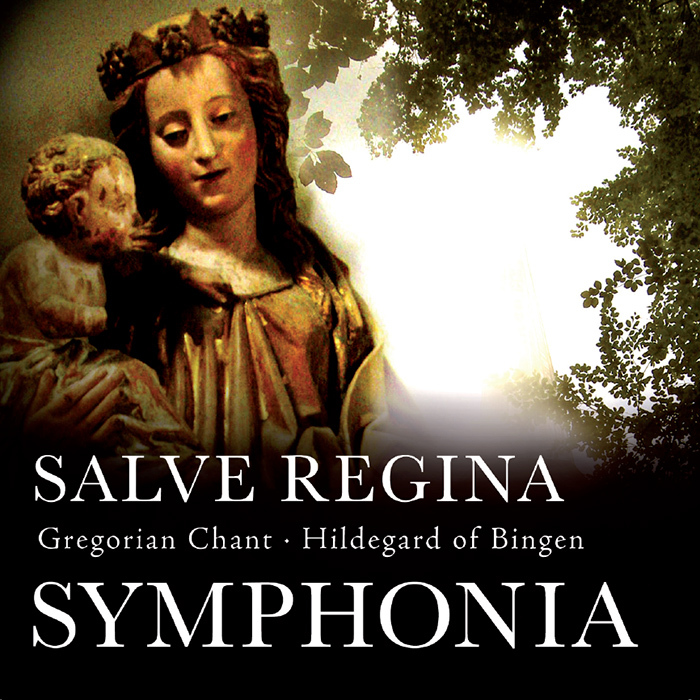 Symphonia was an ensemble for women founded by Viveca Servatius for the 900th anniversary of Hildegard of Bingen’s birth in 1098. The following year, the ensemble received the Stockholm County Council’s cultural prize. The work on the ensemble was based on the vision of harmony, symphonia, where besides Hildegard’s songs included Gregorian singing, psalms, medieval instruments, movement and dance. The first performance was the dream play O tu illustrata, where you got insights into a day in Hildegard’s monastery. It was first performed in 1998 at the Högalidskyrkan in Stockholm. Among many other churches, the play was also performed in the German Church, Adolf Fredrik’s Church, Kungsholm’s Church, as well as in Linköping Cathedral. In the year 2000 came the mysterious play De Morte ad Vitam (From Death to Life) which were built partly on the Gregorian song sung in the quiet week and during Easter, partly Hildegards’ singing Ordo Virtutum. The play was performed in Adolf Fredrik’s church, Karlstad Cathedral and Mariakyrkan in Växjö, among others. Symphonia has also performed with a large number of concerts and memorial services, i.e. Riddarholm Church, Castle Church, Bromma Church, Vadstena Monastery Church, Vreta Monastery and St. Mary’s Church in Sigtuna. From Symphonia, the project Vox Birgittae finally emerged for Saint Birgitta’s 700th anniversary in 2003, with the show Ave maris stella. Here, both men and women gathered in a crowded church to portray the songs of the medieval Birgitin sisters and brothers. On the CD Salve Regina, Ulrika Marklund, Anna Nord, Anna Pihl Lindén and Viveca Servatius participate. Others and former members of Symphonia were Christine Ankarswärd, Heidi Jalamo, Madeleine Kjällman, Mary Ljungquist Hén and Eva Ogden, among others. The leader of Symphonia, Viveca Servatius, is a musician, music researcher, author, rhythm teacher and dance leader in meditative dance. She is a specialist in Gregorian singing and Hildegard of Bingen’s songs and in 1990 she defended her thesis about the sisters’ vocals in the Birgitin Order. For many years she has given courses and lectures in these areas, as well as in toning, dance and movement. She is also educated in sound massage and combines singing and playing on Tibetan sound bowls, all based on the vision of everything’s wholeness and harmony, symphonia.